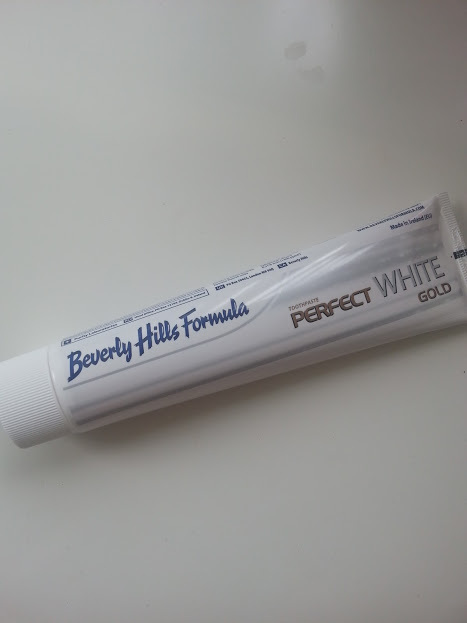 I am a huge fan of Teeth Whitening and the love affair started with Beverly Hills Formula Black Toothpaste, this time BHF have stolen my heart again with their Perfect White Gold Toothpaste*Just like the name suggest the new toothpaste has been made with actual gold particles (fancy i know!) this is because gold has some amazing properties for your teeth such as been anti-inflammatory to fight gum disease, antibacterial to help with oral hygiene and the main ingredient advanced hydrated silica which boots the whiteness of your teeth! 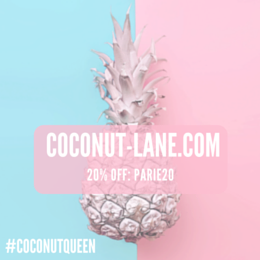 I have been using it for the past week since coming back from holiday and have loved using it! My teeth in the morning feel clean and look white for once. The cleanliness feeling also stays all day long even after eating my lunch and a few naughty snacks. It isn't overpowering in the taste, not too minty and strong so it is suitable for those of us with sensitive teeth. 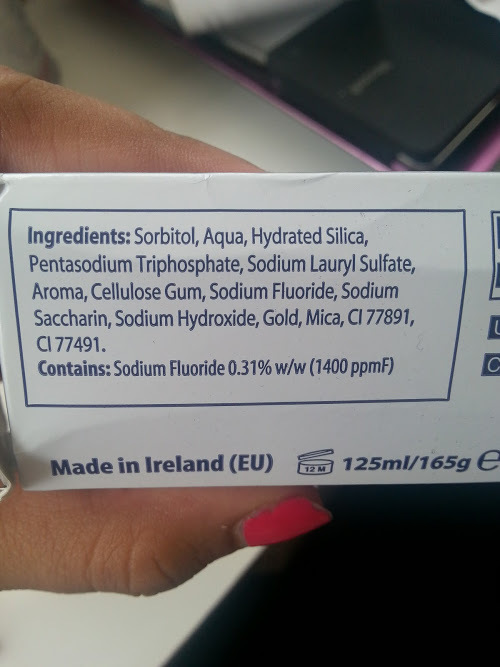 You can also see small specs of the gold inside the toothpaste which looks like glitter but it doesn't come on to your teeth which scared me at first! I haven honestly loved using this toothpaste and will carry on using it to keep my teeth looking amazing every single day! 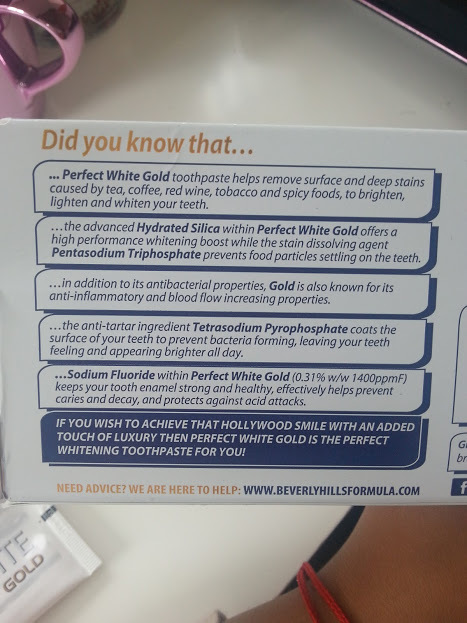 The Beverly Hills Formula Perfect White Gold Toothpaste Retails at £5.49 and can be found in your local Superdrug! Have you tried anything from BHF?